Did you ever typed and searched for”Pawan Kalyan” in Google? 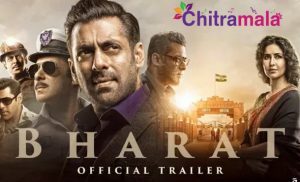 The results show Pawan’s name as Kushal Babu on the right-hand side. Many people know that Pawan Kalyan’s original name to be Kalyan Babu. But who is this Kushal Babu coming in between? Only Google knows. Surprisingly, the story of this Kushal did not end here. If you search on his son Akira Nandan’s name, the parents’ names shown there by Google will be Kushal Babu and Renu Desai. 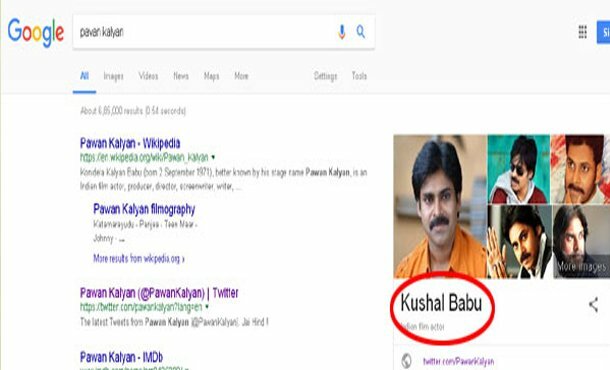 So, Mr. Kushal Babu is none other than Pawan Kalyan, as per google. Pawan fans are wondering about the reason behind it.